2004.5-2007 Ford 6.0L Powerstroke (truck w/ Square EGR Cooler) - The Bullet Proof Diesel Billet Water Pump is designed for maximum durability. 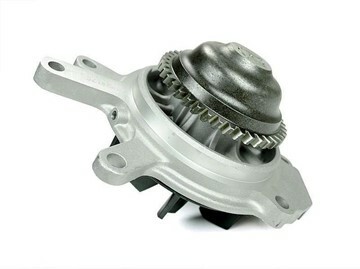 It features an aluminum impeller in place of the OEM plastic impeller which can crack, causing numerous issues such as your engine overheating. 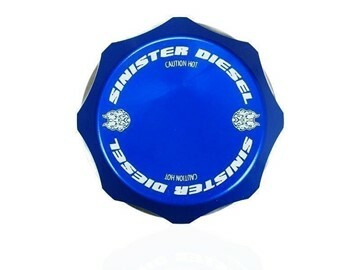 Sinister Diesel's Coolant Reservoir (Degas) Cap fits OEM or Sinister Diesel Coolant Reservoir for 2003-2007 Powerstroke engines. Made from CNC machined solid billet T6-6061 aluminum with an interior pressure relief system, so it will continue to function even in case of a gasket failure. Sinister Diesel's drop-in thermostat housing for 2003-2007 Ford Powerstroke 6.0L diesels anodized billet aluminum construction resists corrosion that often plagues OEM units. The Precision CNC machining and thick base plate ensure a complete seal for years to come. 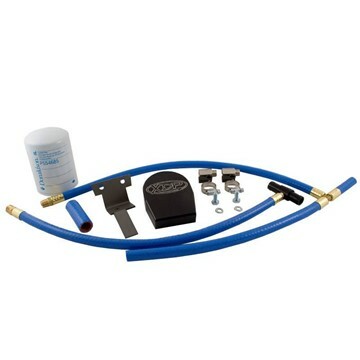 Extend the life and increase the coolant filtration on your 2008-2010 Ford 6.4L Powerstroke with XDP's Coolant Filter kit. 2003-2004 Ford 6.0L Powerstroke (trucks w/ Round EGR Cooler) - The Bullet Proof Diesel Billet Water Pump is designed for maximum durability. 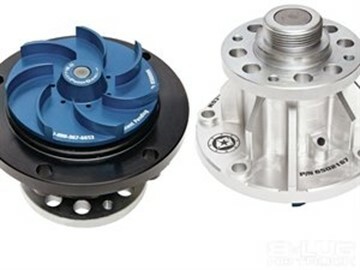 It features an aluminum impeller in place of the OEM plastic impeller which can crack, causing numerous issues such as your engine overheating. Sinister Diesel's Coolant Reservoir (Degas) Cap fits OEM or Sinister Diesel Coolant Reservoir for 1994-2003 Ford Powerstroke 7.3L engines. Made from CNC machined solid billet T6-6061 aluminum with an interior pressure relief system, so it will continue to function even in case of a gasket failure. 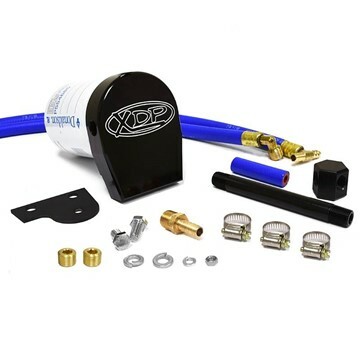 Extend the life and increase the coolant filtration on your 2011-2016 Ford 6.7L Powerstroke with XDP's Coolant Filter kit. 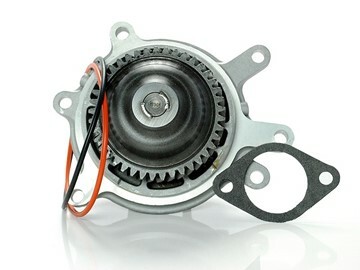 2008-2010 Ford 6.4L Powerstroke - The Bullet Proof Diesel Billet Water Pump is designed for maximum durability. 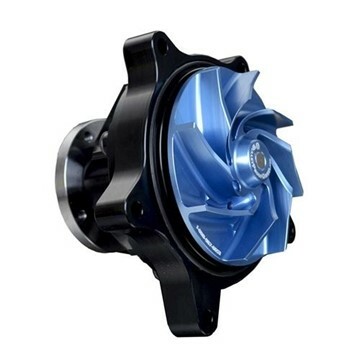 It features an aluminum impeller in place of the OEM plastic impeller which can crack, causing numerous issues such as your engine overheating. 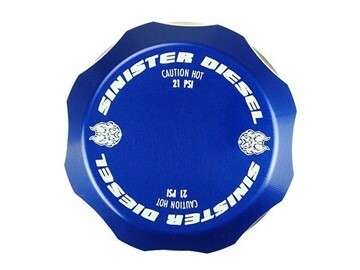 Sinister Diesel's Coolant Reservoir (Degas) Cap fits OEM or Sinister Diesel Coolant Reservoir for 2008-2010 Ford Powerstroke 6.4L engines. Made from CNC machined solid billet T6-6061 aluminum with an interior pressure relief system, so it will continue to function even in case of a gasket failure. Sinister Diesel's drop-in thermostat housing for 1999-2003 Ford Powerstroke 7.3L diesels anodized billet aluminum construction resists corrosion that often plagues OEM units. The Precision CNC machining and thick base plate ensure a complete seal for years to come. 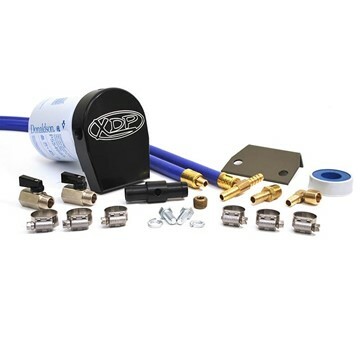 Extend the life and increase the coolant filtration on your 2003 - 2007 Ford 6.0L Powerstroke with XDP's Coolant Filter kit. This is a genuine Cummins OEM replacement thermostat, rated at 180° for your 1994-1998 Dodge Cummins 5.9L 12V diesel truck. 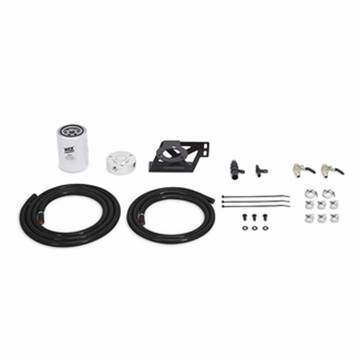 2003-2007 Ford 6.0L Powerstroke - Protect your truck from harmful particles and help to extend the life of your trucks oil cooler, water pump, EGR cooler, coolant, and other critical engine components with the Mishimoto Powerstroke coolant filter kit. Sinister Diesel's Coolant Reservoir (Degas) Cap fits OEM or Sinister Diesel Coolant Reservoir for 2011-2016 Ford Powerstroke 6.7L engines. Made from CNC machined solid billet T6-6061 aluminum with an interior pressure relief system, so it will continue to function even in case of a gasket failure. Sinister's updated Water Pump design for your 2001-2005 GMC/Chevy Duramax 6.6L is a drop-in replacement for the factory water pump and uses precision TIG welds to secure both the impeller and pump gear to the shaft. 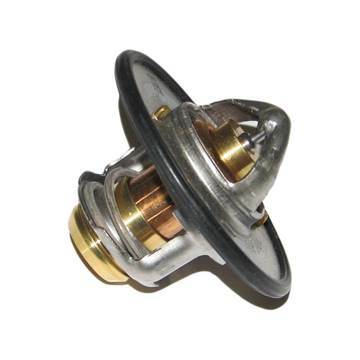 This is a genuine Cummins OEM replacement thermostat, rated at 180° for your 1998-2007 Dodge Cummins 5.9L 24V diesel truck. 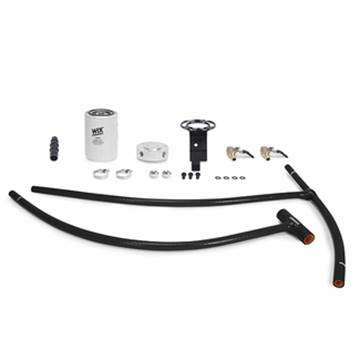 2008-2010 Ford 6.4L Powerstroke - Protect your truck from harmful particles and help to extend the life of your trucks oil cooler, water pump, EGR cooler, coolant, and other critical engine components with the Mishimoto Powerstroke coolant filter kit. Sinister Diesel's Coolant Reservoir (Degas) Cap fits OEM or Sinister Diesel Coolant Reservoir for 2017-2019 Ford Powerstroke 6.7L engines. 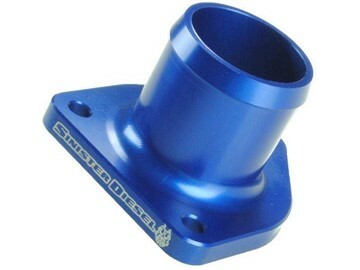 Made from CNC machined solid billet T6-6061 aluminum with an interior pressure relief system, so it will continue to function even in case of a gasket failure. Sinister's updated Water Pump design for your 2006-2016 GMC/Chevy Duramax 6.6L is a drop-in replacement for the factory water pump and uses precision TIG welds to secure both the impeller and pump gear to the shaft. 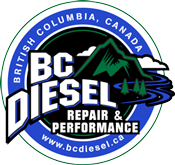 Keep your engine oil to water cooler system flowing and prevent potential engine damage with BD’s Ford 6.0L Coolant Filter Kit for your 2003 - 2007 Ford 6.0L Powerstroke.